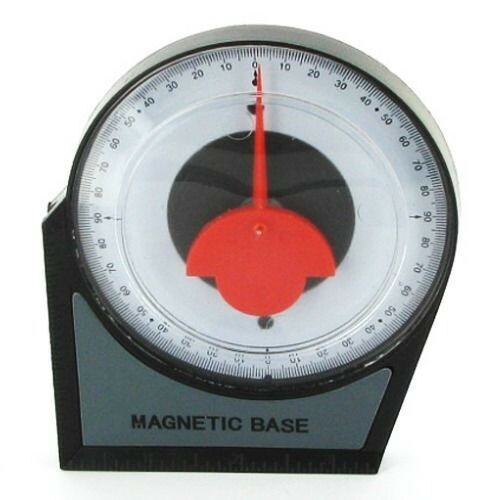 Brand New 100mm Diameter Inclinometer Durable 100mm diameter plastic housing with a convenient magnetic base. Clear, easy to read dial divided into 90° quadrants. For roofing, scaffolding and general angle measurement.